It was love at first con. Find out how FBI Special Agent Kate O’Hare and con artist Nicolas Fox first met in this exclusive eBook original short story! Con man Nick Fox is after Garson Klepper’s golden Peruvian relics. For Fox, convincing Klepper to hire him as security for the relocation of the relics to the Getty museum in L.A. was easy. Problem is, Fox wasn’t planning on Klepper also enlisting the help of the FBI. Fox also wasn’t planning on being paired up with rookie special agent Kate O’Hare. She’s smart, she’s tenacious, and when she’s conned, she holds a grudge. Life for Fox and O’Hare will never be the same again. 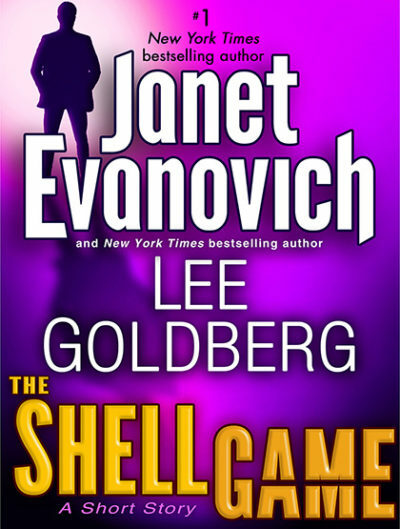 The Shell Game is a prequel to the riveting series from Janet Evanovich and Lee Goldberg, which continues with The Job on November 18.